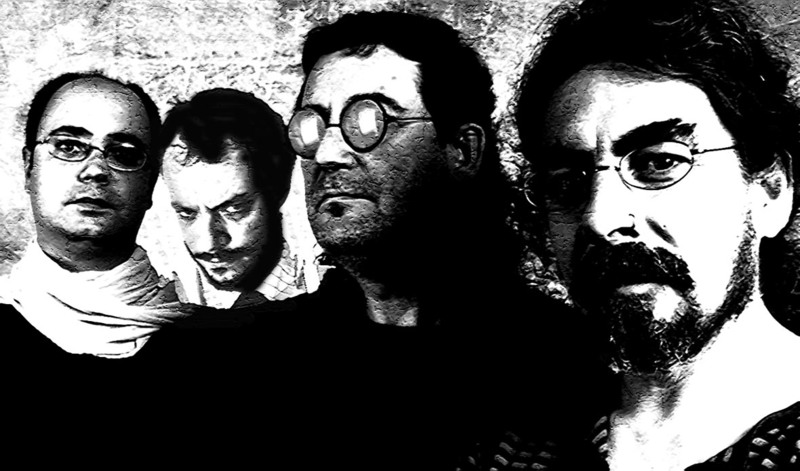 Grupo formado por VICTOR NUBLA (clarinete eléctrico), músico que ha formado parte de grupos como MACROMASSA, LEONIDAS, DEDO y la EUROPEAN IMPROVISORS ORCHESTRA, y director del MOEX ENSEMBLE, que ha colaborado con músicos como Tim Hodgkinson, Robin Storey, Pascal Comelade, Alessandro Olla, Kasper T. Toeplitz, Francisco López, Hiroshi Kobayashi, Markus Breuss, Mark Cunningham, Raoul Björkenheim…, QUICU SAMSÓ (batería y percusión), que ha formado parte de grupos como KONIEC, MOISÉS MOISÉS, OBMUZ y MACROMASSA, y que ha colaborado con músicos como John Zorn, Agustí Fernández, Hiroshi Kobayashi, Pascal Comelade… Los dos se encuentran con ALBERT GUITART (bajo eléctrico, sampler), ingeniero y bajista que investiga las formas de interpretar tormentas y motores con el bajo. La discografía de los dos primeros llega al centenar de referencias. Muchas de ellas han sido producidas por el tercero. y propone una música libre y energética, con elementos compositivos y de improvisación. A band formed by VICTOR NUBLA (electric clarinet), a musician that has been a member of groups such as MACROMASSA, LEONIDAS, DEDO and the EUROPEAN IMPROVISORS ORCHESTRA, and conductor of the MOEX ENSEMBLE, he has worked with musicians such as Tim Hodgkinson, Robin Storey, Pascal Comelade, Alessandro Olla, Kasper T. Toeplitz, Francisco López, Hiroshi Kobayashi, Markus Breuss, Mark Cunningham, Raoul Björkenheim…, QUICU SAMSÓ (drummer and percussionist), formerly a member of groups like KONIEC, MOISÉS MOISÉS, OBMUZ and MACROMASSA, and has worked with musicians like John Zorn, Agustí Fernández, Hiroshi Kobayashi, Pascal Comelade… they meet ALBERT GUITART (electric bass, sampler), a sound engineer and bass player who is researching ways of playing storms and engines with the bass. The discography of the first two reach a hundred of references. Many of these have been produced by the latter. and proposes a free and energetic music, with compositional and improvisational elements.